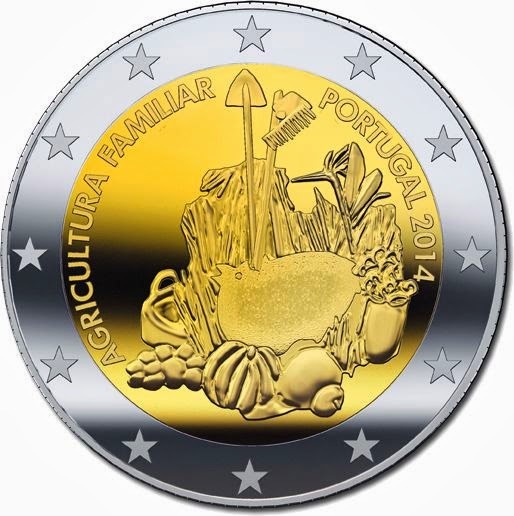 2 Euro Commemorative Coins - Information about recent and near future commemorative 2 euro coins. €2 commemorative coins are special euro coins minted and issued by member states of the eurozone since 2004 as legal tender in all eurozone member states. 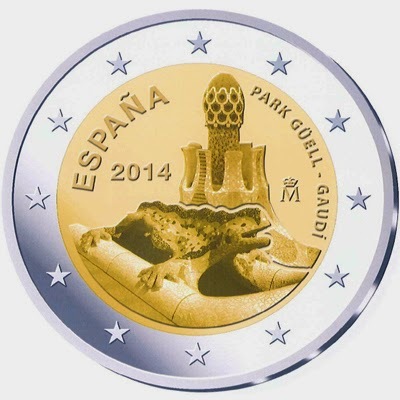 Description of the design: The coin depicts in the foreground a lizard sculpture which is the Park Güell emblem and was designed by the architect Antoni Gaudí. As background a detail of one of the pavilions situated at the Park Güell entrance. At the top, in circular sense and in capital letters the words ‘ESPAÑA’ and ‘PARK GÜELL — GAUDÍ’. At the left the year of issuance ‘2014’ and at the right the mintmark. 2 euro Germany 2014, St. Michael's Church in Hildesheim, Lower Saxony. The ninth release in the annual German Federation series features the second largest of the 16 German states, Lower Saxony. 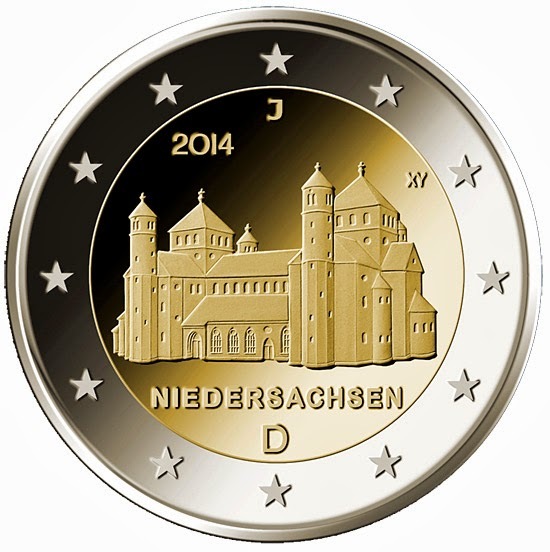 Description: The centre part of the coin shows a representation of St. Michael's Church in Hildesheim. The inscription NIEDERSACHEN and the engraver's initials OE appear underneath while the mint mark appears above. The twelve stars of the European Union form a semicircle on the upper part of the outer ring, interrupted by the year of mintage '2014'at the top of the coin. The words "Bundesrepublik Deutschland" form a semicircle on the lower part of the outer ring.